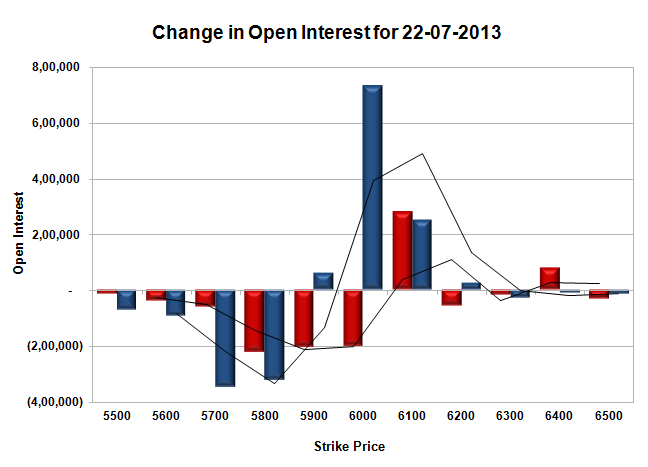 Nifty opened negative but saw the buyers taking control from the morning itself to move the index beyond 6060. The seller waiting for this opportunity moved the index back again near the dotted line to close flat at 6031.80, a miniscule gain of 2.60 points. The broader market was weak, with just 503 advances to 677 declines. OI table though is not weak but overhead resistance is building up. Call option 6100 added 2.80 lacs huge amount OI with short covering seen at 6000 and below strike prices. Put option 6200-5900 added 10.68 lacs huge amount of OI with profit booking seen at 5800 and below strike prices. Highest accumulation on Call option 6100 at 59.72 lacs & 6200 at 58.25 lacs whereas Put option 5900 at 99.61 lacs & 5800 at 79.13 lacs. Nifty Open Interest is at 1,41,10,300 down by 11,79,050, whereas August series added 18.07 lacs, with no change in price, most probably 100% rollover with huge long addition in next series. Bank Nifty Open Interest is at 18,23,225, up by 38,525, whereas August series also added 2.49 lacs, with increase in price, most probably long build-up in both series. FII’s bought huge 11.82 lacs Futures, mostly probably long build-up, as their net OI increased by 35590 contracts and the average price per contract comes to around 5966.01. FII’s future open contract as on date is 556560. PCR Open Interest (Volume) again went up and now at 1.761. 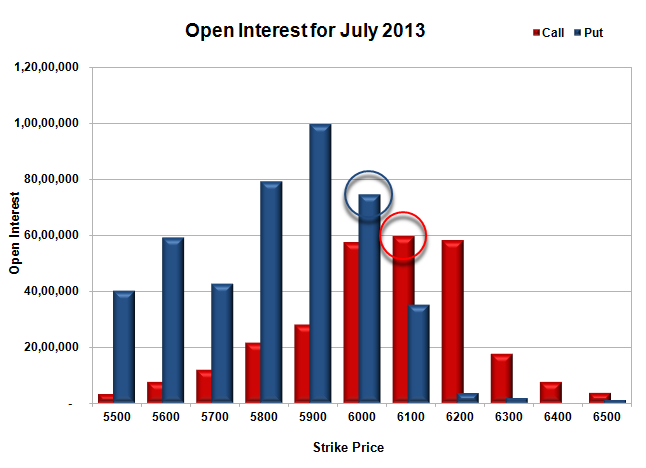 Support getting better at 6000, with OI now above 74.74 lacs and below that at 5900 with highest OI of 99.61 lacs. The best resistance still at 6100, with OI above 59.71 lacs and above that at 6200 with OI of 58.25 lacs. 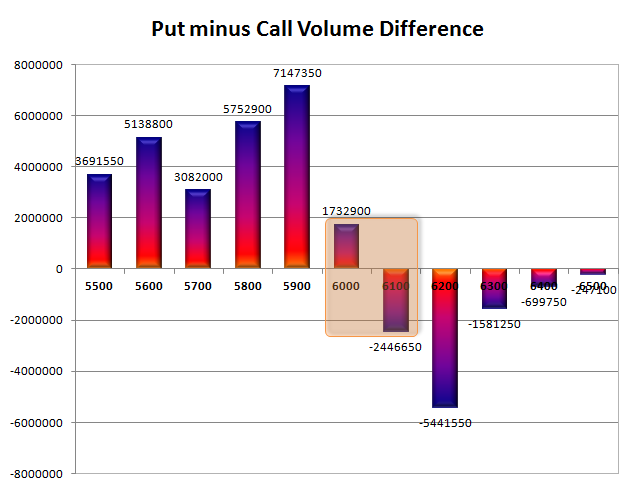 Range as per Option Table is 5977 - 6089 and as per VIX is 5976 - 6087 with 6033 as the Pivot.